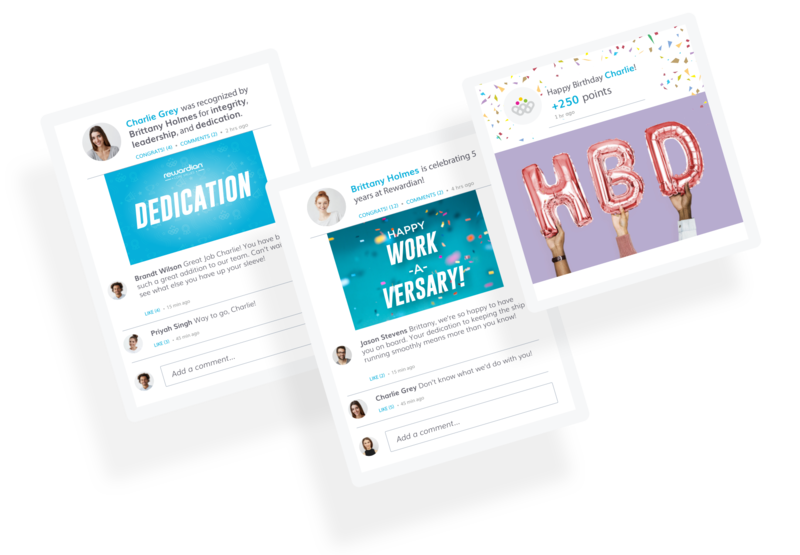 Employee recognition and rewards software that integrates, congratulates, and communicates. 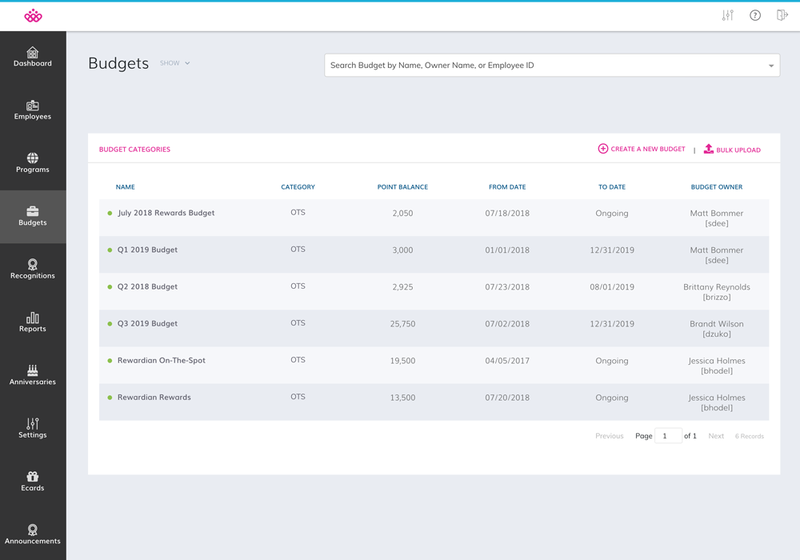 Our automated messaging and content management system (CMS) makes communication, reminders, and announcements simple and intuitive. 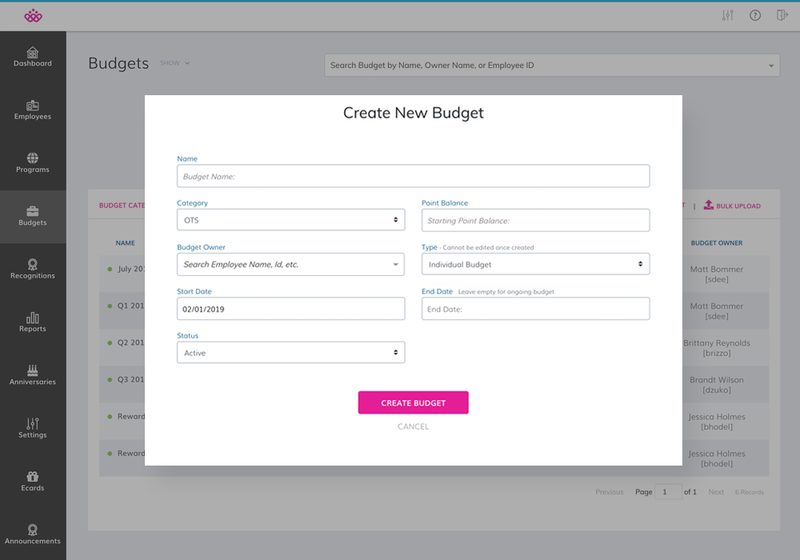 Formulated budget templates and worksheets allow admin users to segment budgets by region, line of business, and eligibility. 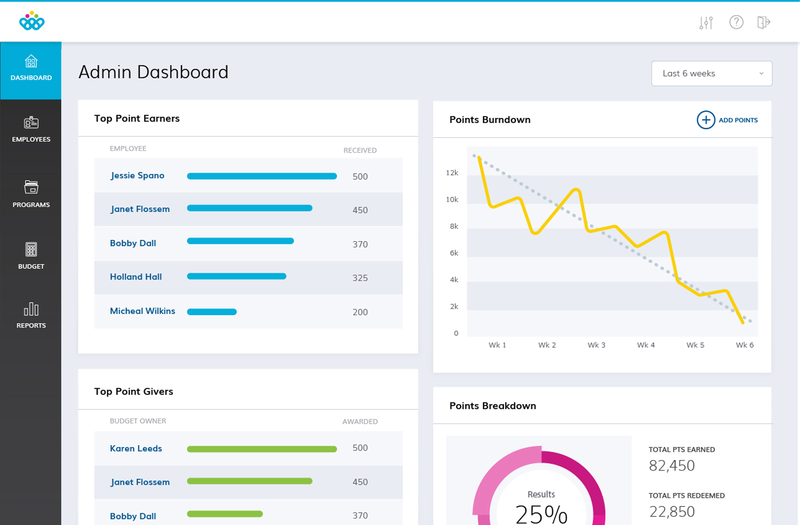 Track adoption, budget utilization, redemption trends, point issuances, service anniversary earnings, purchased points, and measure program success with a full suite of analytics. 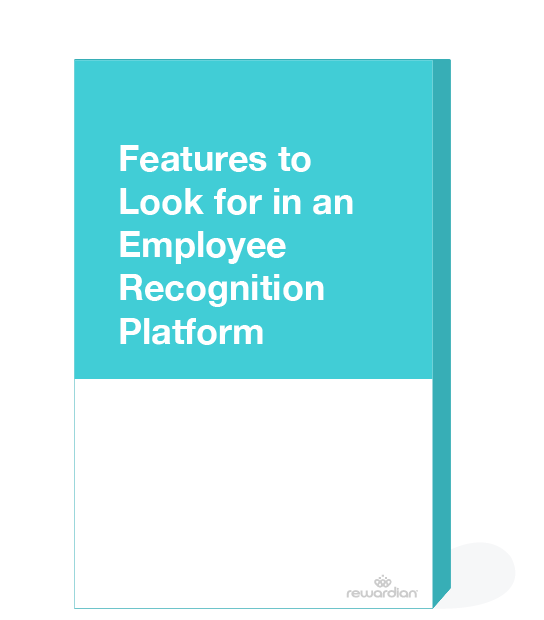 An employee recognition platform is only as good as its rewards. 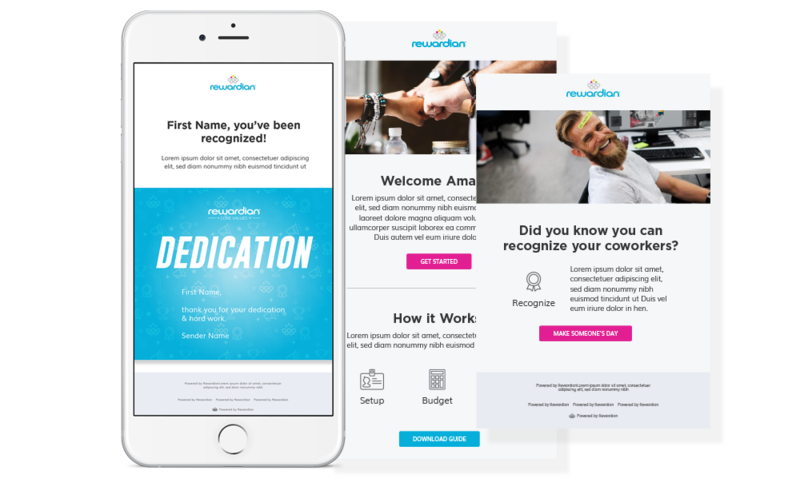 The Rewardian catalog uses behavioral technology to customize each employee’s reward selection and redemption process. 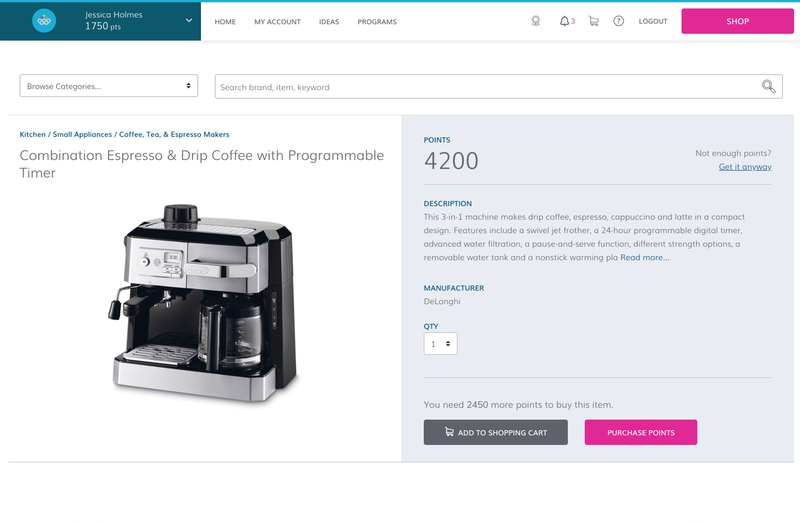 From experiences to trending merchandise, the catalog provides something for every employee. 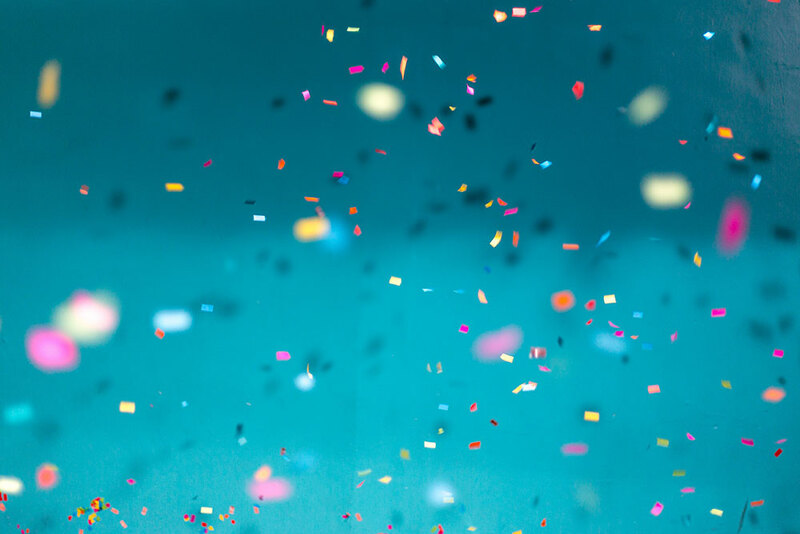 The platform also allows users to purchase additional points should accrued points fall short for a given reward within the catalog.